gng2png: Can Lice be from God? Tip #239 for people prepping to come to PNG. Bring a lice comb. and run around. Now she shoos them away without even being bothered. Weevils in the flour? No worries, sift the flower and they come out. Bugs in the food? We've learned to pick them out. resistance to being 'grossed out'. it like the plague. That has changed. A lot of people (like me) have never had lice, nor had to deal with it. 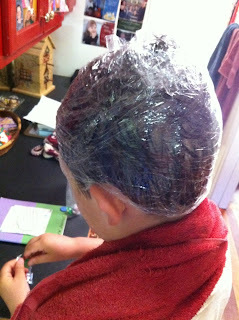 habits, is that your children (and thus you) can contract lice. special oil and wrap it in plastic wrap, then take special showers. to get to church... it's just one more stress. methodical process of ridding the house of lice. rid our family of the lice. then this.... and before long the lice are gone. preparing us for a long time to be here.